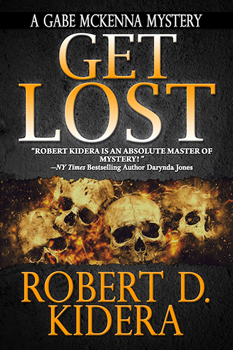 Author Robert D. Kidera is back with GET LOST, the latest installment of his Gabe McKenna mystery series. What do you do when the dead come back and your loved ones disappear? All Gabe McKenna wanted was a new floor for his barn. What he got was seven corpses, all long dead. Seven rich men, missing from New York. One of his closest childhood friends is gunned down in an Albuquerque casino. With time running out, McKenna must uncover the connection and prevent his loved ones from joining the growing ranks of the dead. From New Mexico to New York to a lonely cliff once home to an ancient people, McKenna struggles against a bloodthirsty criminal enterprise for whom money matters more than any man’s life. 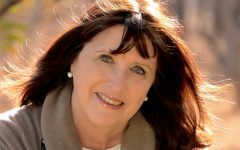 The Big Thrill recently caught up with Robert to learn more about his characters and what it takes to write good suspense fiction. 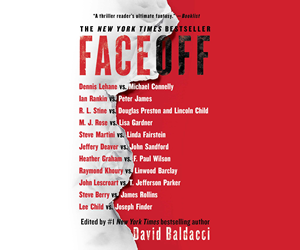 What first drew you to writing stories involving mystery and suspense? I began reading mysteries as a child, all the way back with the Hardy Boys, Sherlock Holmes, etc. I like solving problems, riddles, puzzles. Later in my life I read Raymond Chandler. From then on, I knew my bent for writing would propel me in his direction and genre. I love tension and the resolution of tension, danger and uncertainty and how a person deals with the challenge. Those are the types of stories I find the most compelling as a reader. 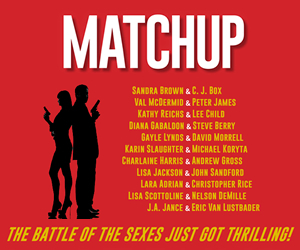 When I began my writing career, choice of genre was a no-brainer. Tell us about your character, Gabe McKenna. What has his journey been like up to this point? When we meet Gabe McKenna at the beginning of Red Gold, my first novel, he is a broken man. A widower, he is on leave from his teaching career, with no direction except for the shortest route to the nearest bottle. Red Gold is at heart the story of his rediscovery of himself along with the treasure he seeks. It ends on a hopeful note, with a new direction, new love, and new possibilities. Of course, as the protagonist in a mystery/suspense series, such happiness cannot be enjoyed for long before new and greater dangers threaten. In GET LOST, Gabe learns painful truths about his family and his own past. Whereas in the first book he has to find the strength to save himself, now it is his loved ones he must save. Gabe finds a purpose in life beyond himself and learns how much risk and sacrifice a man must be willing to take for those he loves. In his third novel, the one I’m working on now, the forces arrayed against him are even greater and his loss even more profound. That may be a common thread in Gabe’s journey: life involves loss and the measure of human beings is how resilient they are in overcoming their losses and moving on in life without succumbing to bitterness or loss of hope. First of all, the reader has to care about your protagonist. Without that connection, why read the next page? The dangers have to be real and significant. The protagonist has to be worthy, yet flawed and those flaws have to be surmounted as the hero attempts to overcome the danger. I also think that you need a good villain, a multifaceted enemy, not simply a face of evil. The element of “time” is essential for a good suspense story, in my opinion. Time must be an antagonist; it must work against the hero. Time and the odds, both have to seem nearly overwhelming. Finally, I think proper pacing is essential. You can’t have non-stop tension, a cliff-hanger from beginning to end. That doesn’t work for me. I try to punctuate the tension in the story with respites of humor or surcease, so the reader can catch his/her breath before moving on down the dangerous road with our hero. What is the most frightening thing that has happened to you while researching a WIP? Great question! I situate all of my Gabe McKenna novels in New Mexico and do a great deal of historical research. I try to visit every location that I use in my books. In GET LOST, Gabe has to ascend the sheer cliff-face of the Puye ruins, a perilous task even for an experienced climber. Gabe has to do this at night, in order to save those he loves. One look at the location made it clear there was no way I could do what he does. But I did climb DOWN the cliffs, albeit in daylight, if that counts! I do. Even before GET LOST came out on March 8, 2016, I was deep into my third Gabe McKenna mystery. It is tentatively titled Cut.Print.Kill. In this novel, Gabe signs on as an historical advisor to a film being made in New Mexico. He faces his greatest dangers, becoming a prime murder suspect, dealing with a Mexican drug cartel, and suffering a deep personal loss. The main theme is the importance of honesty in family relationships and the consequences if that honesty is absent. 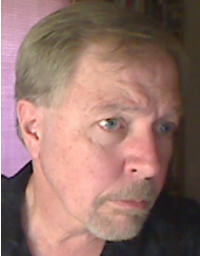 I am also in the early research stage of an historical novel set in the New Mexico silver mining days of the 1880s. That will likely be my fourth novel, and feature one of Gabe McKenna’s ancestors, James A. McKenna, a real-life miner and writer on the New Mexican frontier. Robert D. Kidera’s debut novel, “Red Gold” received the Tony Hillerman Award for Best Fiction of 2015, and won Best Mystery of 2015, and Best eBook at the New Mexico/Arizona Book Awards. “Red Gold” is the first novel in the Gabe McKenna Mystery series from Suspense Books. Its sequel, “Get Lost,” will be released on March 8, 2016. A third volume, “Cut.Print.Kill.” will follow. The author lives in Albuquerque, New Mexico with his wife Annette. He has two daughters, a grandson, and granddaughter. 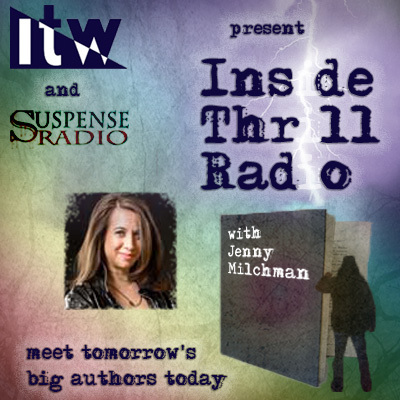 He is a member of Southwest Writers, Sisters in Crime, and International Thriller Writers.